Give artists a venue, and they can showcase their talents. Give them a larger venue, and they can showcase their talents even more. 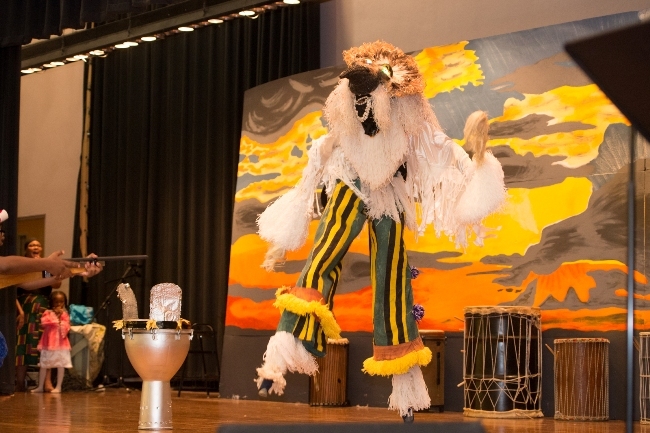 That idea -- that artists can do more with more -- was exemplified during the East St. Louis Performing Arts Program annual summer performance on July 14, when a performer walked onto the stage wearing stilts. 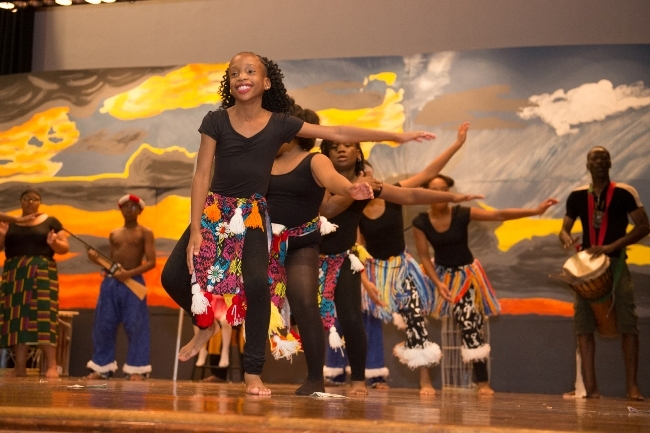 It was during the segment of African-inspired performances. There was a short play of dance and dramatic action. At one point, the narrator for the play announced the approach of a giant bird, and this performer came on the stage wearing stilts. Their was an audible, collective gasp from members of the audience. 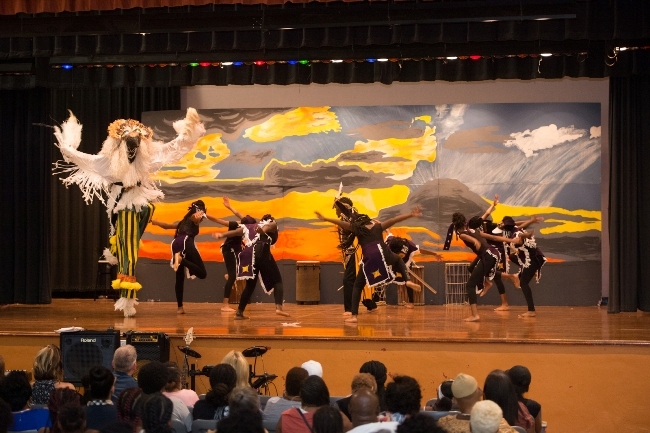 When's the last time you've seen something like that during a performance in East St. Louis? The performance was directed by Gerald Babatunde' Sylla. I thought that the performance he choreographed back in May was impressive, but still, he went even further with this one. The first one included drumming and dancing. This one had more drumming and more dancing and also those dramatic performances. This event was held at the Miles Davis Theater at East St. Louis Senior High School. That performance venue provided a larger space. 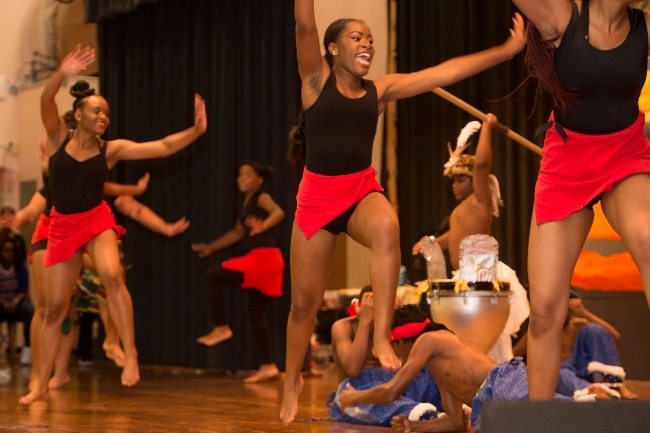 That size venue is unavailable to the students when performing at the East St. Louis Center--the usual meeting place. The stage at Dunham Hall on SIUE's campus is a large venue, but there are transportation limitations in terms of getting the performers to the main campus for rehearsal. 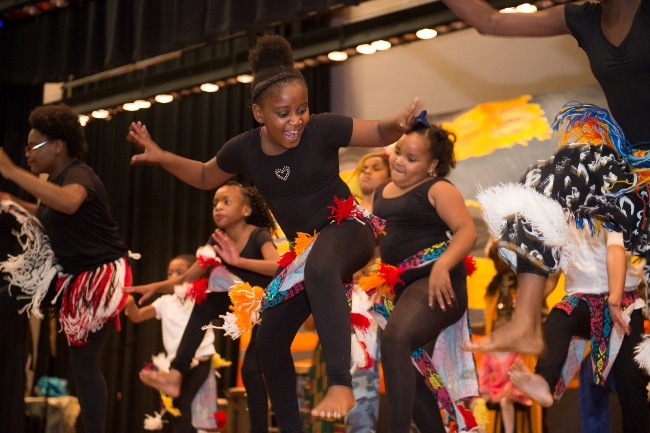 With this solid venue in the city, Sylla's drummers, dancers, and dramatists were in a position to really stretch out and showcase their talents for the large audience of East St. Louis citizens.